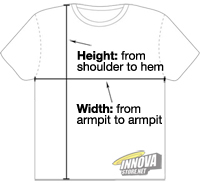 A very light weight and comfortable sports jersey from Innova. Women's model. This premium performance jersey is made from soft, moisture wicking 100% polyester. Dries very quickly and keeps you cool even on the hottest of days.